L Series detectors can be utilised to inspect a wide variety of pumped food products and can detect all metal contaminants including ferrous, non-ferrous and stainless steels. 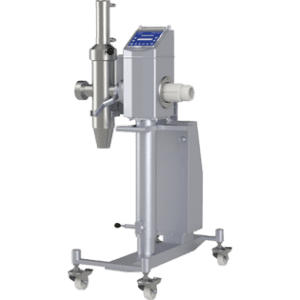 HDS Pipeline systems have been designed especially for vacuum packed meat processing and sausage product inspection applications, where they can be fully integrated with other process equipment. These systems benefit from the use of Safeline’s proven software technology, which provides intuitive, rapid set-up and operation. 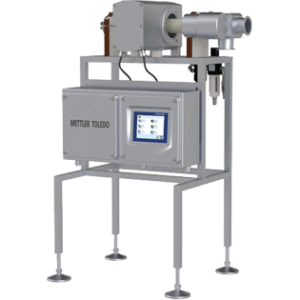 Metal detection systems for sausage manufacture and inspection of high viscosity liquids. 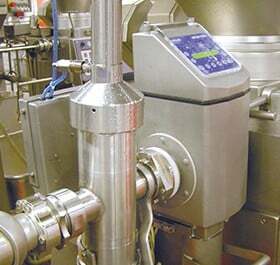 Metal detection systems controlled from a full-colour touchscreen operator interface for the inspection of pumped food products. The use of Safeline’s optional patented ZMFZ (Zero Metal Free Zone) technology allows the metal fittings of the throughput pipe and other process equipment to be positioned closer to the detection head without affecting the detector performance. 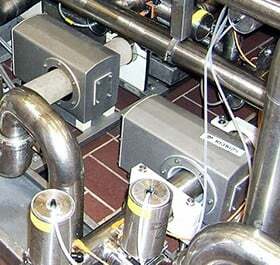 This facilitates a short throughput pipe for maximised product quality in restricted installation spaces. Patented ICF (Internal Cancellation Field) technology allows the metal fittings of the throughput pipe and other process equipment to be positioned closer to the detection head without affecting the detector performance. This enables a short throughput pipe, essential to avoid product *creaming and gives the added benefit of a compact system size to reduce space requirements.